My mom and I on my 22nd birthday. She died a little over two years later. My essay, “When You’re Sick You’ll Wait for the Answer but None Will Come,” was the cover article of a recent issue of The Stranger. In 2007, a doctor told me I had lymphoma. Looming over this diagnosis was my mother’s slow death of bone cancer in 2001. 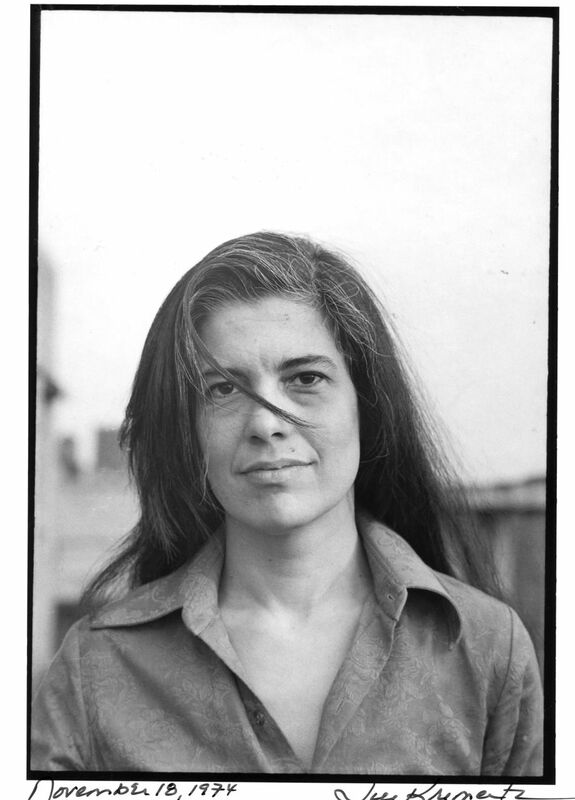 My literary hero, Susan Sontag wrote about cancer and our attitudes about it so convincingly; but I found that when I was confronted with fear for my health and life, her thoughts on illness weren’t complete. What about our attitudes about treatment? I’ve been mulling over this essay for year, and am happy to have written (exorcised?) it and to have it finally out. Read the entire thing here, read some excerpts below, and feel free to share your experiences in the comments. Thank you. I was on a hospital gurney in a hallway, and I’d been there, confused, for hours. I was wheeled out there after a CT scan on my abdomen. Am I okay, I’d asked the CT technician. She looked down at the floor. “You’re going to die,” she said. She patted me on the shoulder. That’s the kind of person she was. I was there after being assaulted by my boyfriend; it was the first and only time he’d hit me, and I promised myself I’d never see him again. I didn’t have a job, I’d just finished grad school, and now my rib was broken and I had internal bleeding and bruised intestines that would scar up. I wasn’t sure what was next for me. The CT scan was for my liver and spleen to make sure they hadn’t split open. “Your spleen is fine; your liver is fine,” the doctor said. I was in the kind of pain that’s not just dull or sharp but also frightening. I’d talked to this doctor hours ago, when I checked in for my injuries. We talked about police reports, and he checked my breathing. “Your lymph nodes are irregularly large; you’ll have to get another CT scan. The suspicion is lymphoma,” he said again. Suspicion. Was that a diagnosis? Death comes, and when it does, it sounds like a creaking door. I know this because when my mom was finished with cancer, a noise uttered its way past her teeth. Like something being crushed slowly, but there was no burst or relief at the end. She died on a bed in our house. She’d spent a lot of time before that moment disappearing. No more fat or muscle on her, no more talking; she was like a piece of paper with bones in it. Each breath was a disjointed heave and hiss, and then it stopped. My mom would tug at my sister’s hair or pinch me when we misbehaved, because she was a big sister to us. Her mother died giving birth to what would have been my mom’s first younger sibling. My mom corralled and held us against harm. She wouldn’t let us watch violent movies. She wrote a short story about a woman who slit her wrists in a library and everyone walked by quietly, trying not to notice. She read a lot. She gave classes for women at Barnes & Noble. She told me that as a little girl, she had a dream about looking out her open bedroom window as nickels rained in from the sky until the entire room was full. Sometimes she’d make me or my sister or anyone laugh so hard that we couldn’t breathe. She had a John James Audubon bird book that she’d pull off the shelf and page through with me: the colors and the brushstrokes and the scenes of struggle and beauty. They’d told us she had cancer, bone cancer. First it was breast cancer, and then it was bone cancer. Ten years ago, they amputated her fleshy left breast. She said that on surgery day, she put a sticky note on her breast that read “Good-bye.” Treatment came to a temporary halt in a curved line of black stitches across her ribs. That should be enough, but no! A breast wasn’t enough for them. Not the cells, not the doctors. Ten years later, there was a tumor on her sternum, and then her leg. Then she was in pain. Constant pain. From diagnosis to death, it was a little more than two years. Treatment” is a word made up of different words. “Treat” is from the French traiter, derived from the Latin tractare. To handle, deal with, conduct oneself toward, tug, drag about. “Ment” is a magical suffix that turns actions into things. To add “ment” to the end of a word is to draw it into the world. That means treatment may be “the state of conducting oneself toward something.” That’s as gentle as a quiet, correct step. When we’re sick, or when we think we’re sick, we seek treatment. Since we all get sick sooner or later, treatment is a part of being human. It’s not separate from our lives, it’s not a feature of certain people’s experiences, it’s not optional. She was diagnosed with cancer on three different occasions. First, breast cancer in 1975. She responded to it with Illness as Metaphor, a radical mastectomy, and chemotherapy, which she opted for over a “modified radical” mastectomy, which was a less invasive treatment. She viewed cancer as a growth, so radical treatment was necessary to getting to its root (radicalis from the Latin radix or “root”). An extremity of uprooting. When a friend came to her with a cancer diagnosis and fears about the pains of treatment, she told him that when he was in such terrible pain that he may have to stop, that’s when he should take another treatment. Then another. She was expressing sympathy by encouraging defiance. I wonder why she didn’t notice that her approach to treatment echoed perfectly her approach to living, and so was alive with metaphor. Night sweats, itchy skin, fever, abdominal pain, cough, fatigue, weight loss, rashes, back pain. None of these are disease-specific. I found myself suddenly scratching my legs more and waking up in the middle of the night. I found myself exhausted. Was it lymphoma or just “normal” or had I been hexed? “You should calm down,” one friend said. “You should rest before you drive across the country,” said another. I didn’t go back to the doctor. I wanted to escape everything, and I had to make sure I would never interact with my boyfriend again. I put my things in my car and drove across the country alone, from Amherst to San Francisco, wondering if my back pain was from sitting or impending death. In one of those states in the middle, the ones that are so beautiful that they blend together and make you forget their names, I stopped my car and watched pronghorn antelope grazing. I’d never seen antelope before. The only sound was the wind, which rushed up fast like the grass was exhaling. Then I remembered: lymphoma. I wondered if the states were being granted to me, one by one, showing up to say good-bye or calm me down. I’d felt my lymph nodes in my neck every day. I still catch myself feeling them. I wonder how my hands got up to my throat, searching for something. A question that is bound up in illness for us: Who’s to blame? If the person who chooses to pray as treatment dies of cancer, is it their fault? If so, isn’t the same true for someone who chooses chemotherapy for cancer and dies of cancer? People will be quick to tell you that some attitudes toward health are “dangerous.” This is true. They’re all dangerous. …But what if we eat raw food? What if we drink enough water, if we take vitamins, if we sleep well, if we exercise, if we meditate, if we go on “retreats,” if we take psychedelic plants, if we get massages, if we become vegetarians, if we eat more organ meats, if we force ourselves to laugh, if we take morning walks? Conner, you own a piece of my heart now because of this article. Words of comfort to you. I suspect you healed because you thought a lot about the love you have for your mother during your long drive across the US. 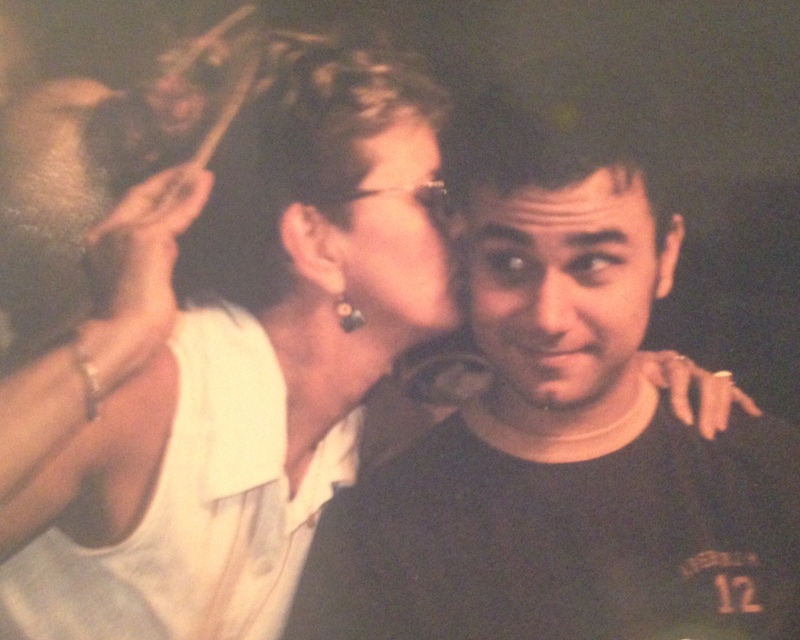 She knows when you focus those loving thoughts about her; it honors her; you’re a good son. If I were a member of the 12 I might send you back to the prairie to grind some antelope horn. This is simultaenously heart-breaking and reassuring. I find myself astonished at your clarity, and at the mirror images of your experience, lodged in my own past. The scene with the antelopes and the breathing grass transports me. Thank you for sharing so much pain. I am awed by your clarity and intelligence. Thank you. My Mom is now 96 years old, and along with Dementia we are addressing some other signficant health issues that she is now dealing with. . I find myself in a position I never really thought about before, where I have to make the decisions on treatment for her because she is no longer capable of deciding for herself. It is a hard job, and day by day, I really don’t know if I all the choices are the right ones. But as your article brought to light we do the best we can. Although I doubt myself a lot, deep down I think I am doing just that: the best I can. Sometimes it helps to know others who have been through similar situations like you, can understand. My sympathy for the loss of your Mom, but her legacy lives on in the great son she raised in you. And, I am grateful that you did “heal yourself” too. My world is certainly a better place because you are in it. Thank you for opening up, sharing, and making me feel so not alone. I was very moved by your lucid account of your mother’s suffering and death. I just lost my mother to ovarian cancer although she was 81 so I had her around for much longer. My sister died of breast cancer at 43 and my father also died of cancer at 68. I appreciate your way of looking at it all and will look into Sonntag as well. I have read some of your writing before and find it very engaging so will now follow it more regularly. Regards, R.